This Sunday’s chat is with children’s author Stenetta Anthony. Stenetta is joining us today to talk about her picture book A Home for Sally teaches kids that being different, looking different isn’t a bad thing and this is an important message for readers of all ages. 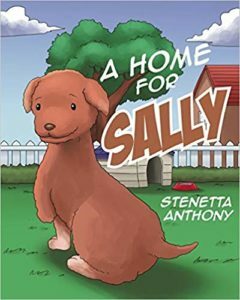 A Home for Sally tells the journey of a special need puppy named Sally. The challenges that occur in Sally’s life and she works tireless hoping to overcome each one. Although this is a fictional story, it is a truth that thousands of children experience on a daily basis. As they go through life. In this ginormously long conversation we talk mega deep with the outstandingly talented and awesome kidlit author, Stenetta Anthony! Come listen in as Stenetta tells us about how she sort of ‘fell into’ writing super amazing children’s books that inform, inspire, educate and entertain kids. We also talk book her latest picture book A Home for Sally and also chat about some other stuff. Fun! Stenetta Anthony is an author who writes books that inform, inspire, educate and entertain. 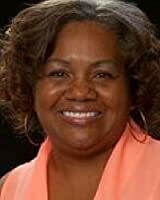 She was an educator for 20 + years and still continues to volunteer in supporting the educational development of children. Her time spent in the classroom using her own unique style of storytelling. Stenetta storytelling has now extended into publishing with her creating children’s books for her young reading audience. Stenetta has a Bachelor Degree in Educational Studies and a Specialist in Special Education Development. Stenetta resides in Chicago, Illinois with her husband, children, and grandchildren. Two of Stenetta’s favorite past times are watching cartoons and being an at-home contestant of the television game show Jeopardy. One of Stenetta’s favorite phrases comes from P.L Travers, Mary Poppins, “In every job that must be done, there is an element of fun, with her writing being her most enjoyable element in life. A Home for Sally is available on Amazon! What advice would she like to give to all the kids like Sally, who think that being different is a bad thing? Why did Stenetta think it was important to tell this story? A big Thank you to Stenetta for doing this Interview! Listen in as Stenetta answers questions from Jed that will help readers understand what inspired her story & and the exciting new book she’s working on now! PreviouslyRWYK Author Interview with Jodi Stapler & Phyl Campbell!! Read NextThe Return of Sheila Dhir on the RWYK Podcast!